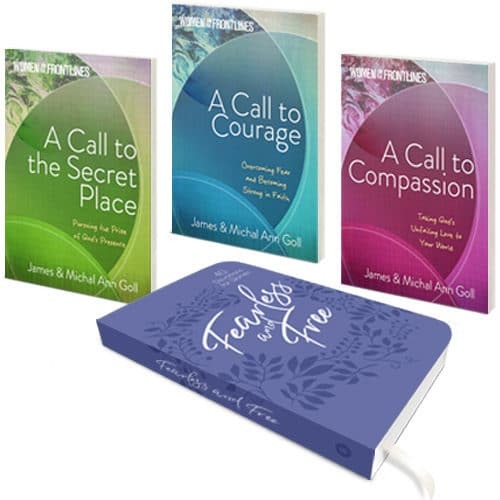 Save 33% when you purchase this triple bundle of the books A Call to Courage, A Call to Compassion, and the A Call to the Secret Place by James W. & Michal Ann Goll! 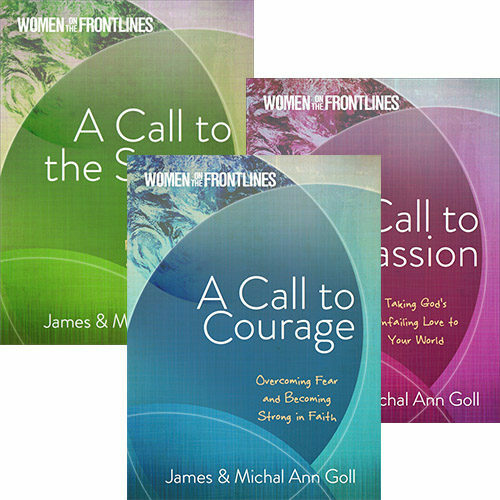 Save 33% when you purchase this Women on the Frontlines triple bundle of the books A Call to Courage, A Call to Compassion, and the A Call to the Secret Place by James W. & Michal Ann Goll! 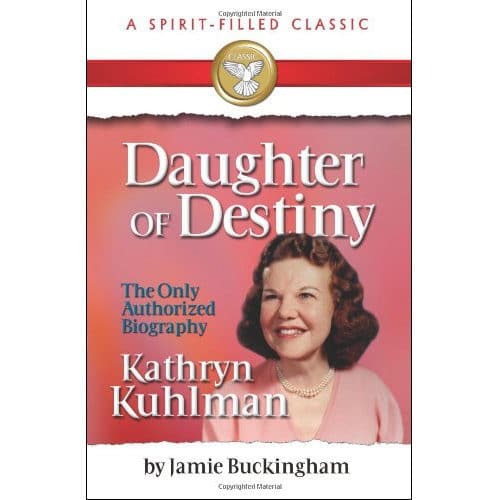 These women overcame intimidation through the empowering work of the Holy Spirit and were pioneers of truth, freedom, healing, and courage in their generation. Heed the call to courage and step up to the front lines of faith, hope, and love. God wants to express His heart through you in new and creative ways. Be a pioneer of compassion in your world today! Hear the Holy Spirit inviting you to private, loving moments with your Lord. Come on in to fulfill your call to the secret place!